In the lead-up to this weekend’s Shangri-La Dialogue in Singapore, US Defence Secretary Ashton Carter yesterday bluntly declared that the US would continue its military provocations against China in the South China Sea. The Pentagon deliberately inflamed tensions with Beijing last week by allowing a CNN news crew to fly on board a navy reconnaissance flight near Chinese-controlled atolls. The CNN report was designed to put a spotlight on China’s land reclamation activities. It also featured the warnings of Chinese authorities as the aircraft approached what China regards as its territory. Speaking in Hawaii yesterday, Carter again called for an immediate halt to China’s land reclamation activities, which the US insists are for military purposes. He made clear that the US would continue its “freedom of navigation” operations to challenge China’s territorial claims. 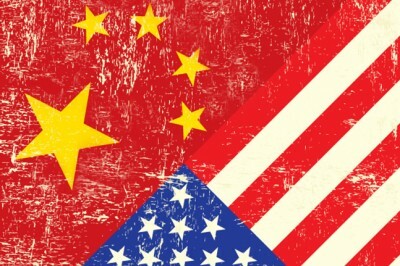 In other words, under the pretext of “freedom of navigation,” the US will keep sending warships and warplanes near Chinese-administered islets, risking a clash that could rapidly escalate into conflict between the two nuclear-armed powers. Even more recklessly, the Pentagon is planning “freedom of navigation” missions to enter the 12-mile territorial limit around Chinese islets. The cynicism involved in Carter’s remarks is breathtaking. Since 2010, the Obama administration has systematically exploited the maritime disputes in the South China Sea to drive a wedge between China and its South East Asian neighbours. Carter’s references to “international norms” are particularly hypocritical. Unlike China, the US has not ratified the UN Convention on the Law of the Sea (UNCLOS). Having encouraged Vietnam and the Philippines to aggressively pursue their claims against China, the US is now flying military missions, thousands of kilometres from any American territory, aimed at provoking a response from China and a major international crisis to force Beijing to back down. Over the past year, the US has rapidly ratcheted up its pressure on China in the South China Sea, securing a basing arrangement with the Philippines, urging Japan to send its own patrols to the tense region and beefing up access to military bases in northern Australia. Last week’s navy surveillance flight left from the Clark Air Force base in the Philippines. The foreign policy and military establishment in Washington is well aware that US actions in the South China Sea could lead to war. Writing this week on the Daily Beast website, Gordon Chang identified the South China Sea as “history’s next great war zone.” Portraying China as the aggressive threat to peace, he concluded: “China’s challenge to the United States in the South China Sea sets up the classic zero sum confrontation. In reality, the “zero sum confrontation” is of Washington’s making. The Obama administration is demanding the unfettered “right” of access for the US military throughout the South China Sea, including in Chinese-controlled territory, and is also dictating the terms of China’s activities in these strategic waters. The US would regard similar actions by China in waters near Hawaii or California as an act of war. Such a move would dramatically intensify the South China Sea confrontation. In November 2013, when China announced an ADIZ covering the East China Sea, including disputed islands administered by Japan, the US reacted by immediately flying nuclear capable B-52 bombers into the zone. While the responsibility for the mounting crisis lies with Washington, there is nothing progressive about the Chinese regime’s response. Incapable of making any appeal to the working class in China or internationally, the Chinese Communist Party leadership is expanding its own military apparatus, playing directly into the hands of US imperialism. This only heightens the danger of humanity being dragged into a devastating world war.